What is Applied Behavior Analysis (ABA) and Why Does it Work? 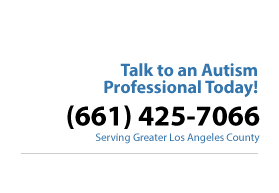 We treat children, teens and adults who are diagnosed with autism and other language, communication, behavioral and developmental disorders. We use the principles of Applied Behavior Analysis to decrease inappropriate behaviors while increasing functional skills. We frequently have parents of young newly diagnosed children ask us to explain applied behavior analysis and why it is necessary. Here it is in a nutshell….. Applied Behavior Analysis (ABA) is the application of behavioral therapy to solve problems associated with autism such as language delays and extreme sensory and behaviorial challenges. It is not one procedure, or even a handful of procedures or therapeutic techniques. It is a scientific methodology and is the only proven discipline for successfully treating autism and other developmental disabilities. Early and intensive ABA is by far the most effective approach for establishing language, self-help skills, and reducing unwanted behaviors with children diagnosed with autism and other developmental disorders. It has been described that Applied Behavior Analysts are analogous to physicians, who develop treatments for biological problems based on basic medical research. ABA is driven by data. Behavior, goals, and treatments are defined objectively and specifically. This results in reliable data to be collected and used in modifying treatment. Decisions about what treatment to use, and whether or not the treatment actually works, are dependent upon the analysis of this data. ABA therefore is a scientifically measurable approach to treating autism, and all conclusions are tied back to observable changes in behavior. Over 40 years of research demonstrates that the techniques of applied behavior analysis are effective in creating and sustaining meaningful changes in the behavior of individuals. These techniques have been used to teach new classes of behavior (as in verbal and nonverbal communication, self-help skills, etc. ), to reduce or eliminate classes of behavior (problem behavior such as self-injury, aggression, etc. ), and to modify existing classes of behavior to better suit the individual’s environment. One of the most powerful and meaningful conclusions to be drawn from research in applied behavior analysis is that these techniques are extremely effective across clinical diagnoses, co-morbidities, level of functioning, race, gender, and socio-economic status. ABA therapy is individualized. Each individual’s behavior is analyzed and modified according to their specific needs and abilities. There is no treatment or strategy that will work with every person; applied behavior analysts therefore tailor treatment approaches and teaching strategies so that they are effective for that individual. Compare this aspect to most other psychological and pharmacological approaches that have been shown to produce average improvements in a group of people. These approaches are used with many individuals at once, even though it may not have the intended effects on many of the people within the group. Successful ABA treatment is a family affair. ABA involves parents, teachers, siblings and extended family members whenever possible to create and maintain an environment in which the child will speak on a day-to-day basis. The ultimate goal is to create and maintain a happy, stable and supportive family environment for the child and for all people involved. Receptive – Understanding spoken language and process all stimuli in order to efffectively function across a variety of environments. Expressive – Ability to communicate needs effectively.(ie. hunger, thirst, healthcare, etc). Gross – Skills that involve the large muscle groups of the body necessary for coordination, speed, balance, etc. involving walking, sitting upright, standing, climbing, etc. Fine – Skills that involve the hands and fingers allowing a client to grasp and manipulate objects for skills such as feeding, drinking, toileting, writing, dressing, communication, etc. Oral – Skills that involve the mouth, tongue, teeth, etc. allowing a client to eat, drink, swallow, and communicate verbally. Social and Behavior Skills – Build skills that allow a person to successfully improve the appropriate behaviors necessary to function in all environments from a health, well being and safety standpoint. And the ability to initiate and maintain quality relationship as well across a variety of environments.